An arcade game or coin-op game is a coin-operated entertainment machine typically installed in public businesses such as restaurants, bars and amusement arcades. 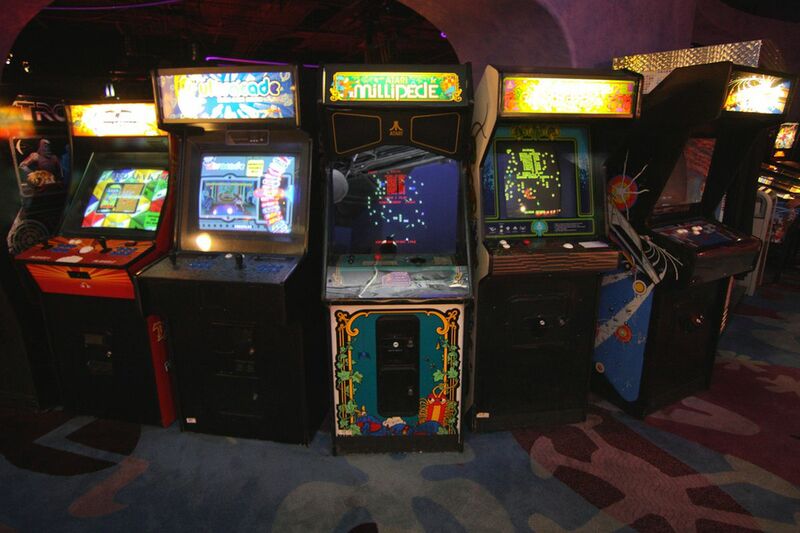 Most arcade games are video games, pinball machines, electro-mechanical games, redemption games or merchandisers. While exact dates are debated, the golden age of arcade video games is usually defined as a period beginning sometime in the late 1970s and ending sometime in the mid-1980s. Excluding a brief resurgence in the early 1990s, the arcade industry subsequently declined in the Western hemisphere as competing home video game consoles such as the SonyPlayStation and MicrosoftXbox increased in their graphics and game-play capability and decreased in cost.